“The eight-month season of classical concerts brought back after three years, will continue till May. 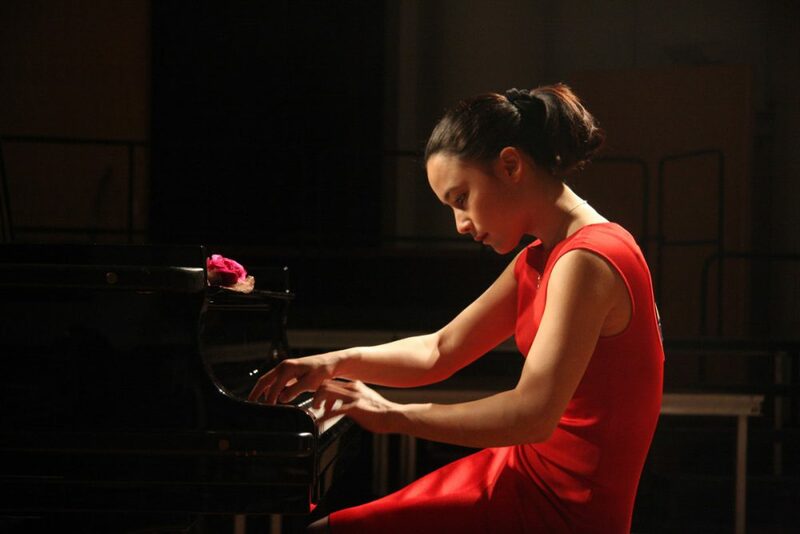 French piano prodigy Lydie Solomon. After much talk about its come back, the re-launch of Abu Dhabi Classics finally happened last night with a Chopin concert by the French piano prodigy Lydie Solomon. The concert already sold out over Eid Al Adha. According to Ronald Perlwitz, head of Music Programming, Culture Sector at Abu Dhabi Tourism and Culture Authority (TCA), which organises Abu Dhabi Classics, the national and international interest in the new season of classical music has taken even the organisers by surprise. “Also new in the 2014/2015 season is a theme, something that the Classics never had before, and the theme is “The Traveller”. The “traveller” theme is meant to offer a wide range of musical explorations, from the prestigious ensemble Staatskapelle Dresden conducted by Christian Thielemann or the City of Birmingham Symphony Orchestra, to renowned artists such as Grammy Award winner Jordi Savall, exceptional young concert pianists Khatia Buniatishvili and David Fray, oud virtuoso Nasser Shamma and the acclaimed Emirati oud master Faisal Al Saari, alongside today's leading violinists Gidon Kremer and James Ehnes. Last night's Lydie Solomon's concert — Chopin's Journey — was especially created for Abu Dhabi by Solomon. Even though the musical pieces performed at Manarat Al Saadiyat have been written in different times of Chopin's musical life, they all express the ambivalent core of romantic longing, the aspiration of foreign realms and, at the same time, the nostalgia of a true homeland.